A CBC Marketplace investigation reveals automakers are preventing Canadians from taking advantage of cheaper car prices south of the border. Canadians planning a trip south of the border next week to take advantage of Black Friday deals may run into roadblocks if a car is on their shopping list. A CBC Marketplace investigation reveals automakers are preventing Canadians from taking advantage of cheaper car prices south of the border. Marketplace found price differences of thousands of dollars in the manufacturer’s suggested retail price (MSRP) for the same model car on different sides of the border, but many U.S. dealers refuse to sell a new vehicle to Canadian customers. In some cases, cars manufactured in Canada were more expensive to buy at Canadian dealerships than in the U.S.
Watch Marketplace's episode, Price Wars, Friday at 8 p.m. (8:30 p.m. in Newfoundland and Labrador) on CBC television. 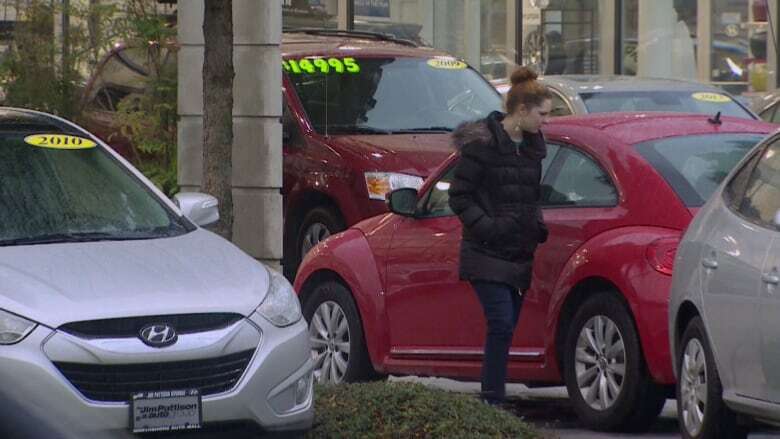 Vancouver resident Caitlin Mayne, comparing prices for a new Volkswagen Beetle, found that the car’s MSRP was about $3,000 less in the U.S., only an hour’s drive from her home. “That’s a lot of money,” she told Marketplace co-host Erica Johnson. In one case Marketplace found a Dodge Grand Caravan listed at an MSRP that was approximately $7,000 cheaper in the U.S. than on Canadian lots. Steve Rogers, who runs a business that buys cars in the U.S. for Canadian consumers, says that the price difference can run even higher. Last year Rogers bought his wife a new car, taking advantage of lower American prices. The full Marketplace investigation, Price Wars, airs tonight at 8pm (8:30pm NT) on CBC Television. Vancouver resident Caitlin Mayne found the car she wanted for about $3,000 less in the U.S., an hour from where she lives. (CBC)​To see what Canadian consumers face, Marketplace staff spoke with salespeople at more than 30 car franchises in Bellingham, Wash., and Buffalo, N.Y., both close to the Canadian border. In many cases, they were told that the dealers were not permitted to sell new vehicles to Canadians. Many dealerships refused or discouraged a sale when they realized the potential buyer was Canadian. There is no law that prohibits Canadians from buying cars in the U.S., although the transactions are subject to the same taxes as vehicles bought in Canada. 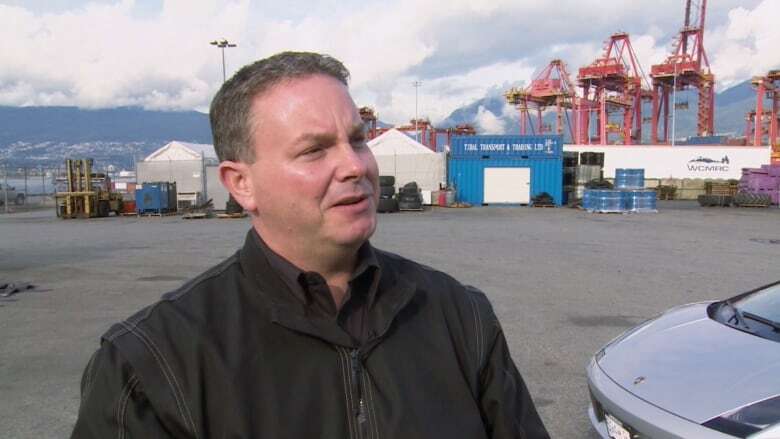 According to Chief Tom Schreiber at U.S. Customs and Border Protection, "you do not have to be a U.S. resident or have a U.S. address if you are a Canadian citizen and you wish to purchase a car in the United States and export it to Canada." In some cases, dealers said that vehicles purchased in the U.S. and brought across the border would not be protected by warranty. Automakers denied that their policies penalized Canadians or prevented them from buying cars in the U.S., telling Marketplace that such policies protect sales territories and help dealers build a network of local clientele. Some dealers were more accommodating to Canadian consumers, though this varied by location. Ford, Kia and Nissan all agreed to sell new cars to Canadian customers, though the Kia and Nissan dealerships said they could not guarantee their warranty would be valid in Canada. And in all cases, the vehicles have to be paid up for upfront, as financing isn't available. 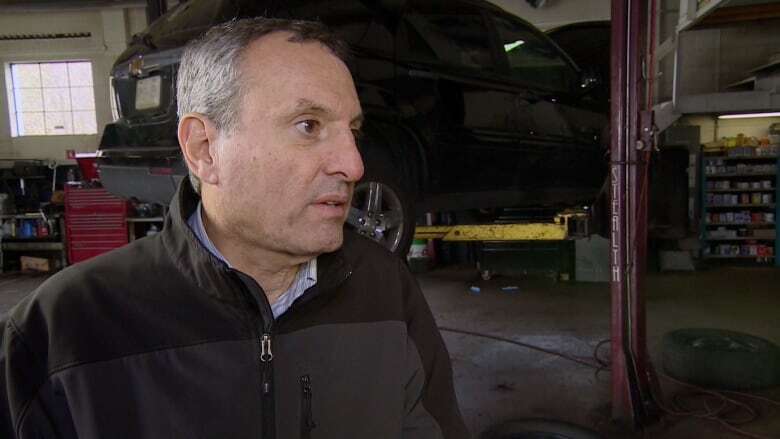 "I have a hard time with the fact that I’m paying more as a Canadian just because of where I live," says Steve Rogers, who helps buy cars for Canadians at U.S. dealerships. (CBC)​George Iny, the director of the Canada-based Automobile Protection Association, a consumer advocacy group, says the difference in cost is unfair to Canadians. Iny says it’s up to the government to step in to protect consumers. “It’s absolutely designed to restrain the trade of vehicles between the borders - and that, that’s an element of equity,” he says. “The carmaker benefits greatly from free trade in cars and car parts, and the customer should at least be entitled to that benefit as well. “If we are going for free trade for the carmakers, then it should to some degree be free - equally free - for the consumer,” he adds. While cheaper car prices in the U.S. keep him in business, Rogers says that the difference still surprises him. Automobile Protection Association’s Canadian Warranty information on new cars bought in the U.S.